Forgive me as I swallow my pride, but Jim Harbaugh is a great coach. Despite his constant constipated face, violently angry and all, Harbaugh knows his football and deserves to work for a notable franchise. he has worked hard, he deserves it. So hard he looks permanently constipated, which can be seen every game day. Just look at this fool’s Wikipedia picture. My God, is he backed up. He has turned around football programs, both college and professional, in less than 4 years, transforming teams into competitive forces. While at San Diego State, the Toreros posted a combined 29-6 record and won two Division I-AA championships during Harbaugh’s three years at the helm. I think this is when he started to feel the seething festering pain of winning. 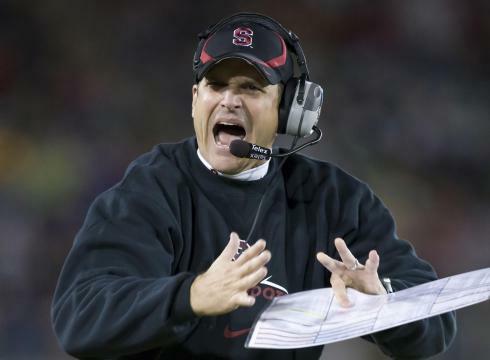 That lead him to the less-than reputable football program at Stanford University. While there he not only managed to piss off Pete Carroll on more than one occasion, Harbaugh delivered a winning record in his third season, steering the Cardinals to a 12-1 record, always finishing in the top BCS standing. Then his constipation took him to San Francisco to coach the 49ers, Harbaugh led the team to an 11-4-1 record in the regular season, winning back to back NFC West titles, and one Super Bowl appearance. Hey, losing to your not so successful brother would only exacerbate the constipation. Now he is off to feel even more constipated at Ann Arbor, MI. Him returning to college merely reveals to us that his type of winning and languish energy is more appropriate for the less than mature players. I think San Francisco was just sick of his shenanigans, or maybe his facial expressions. 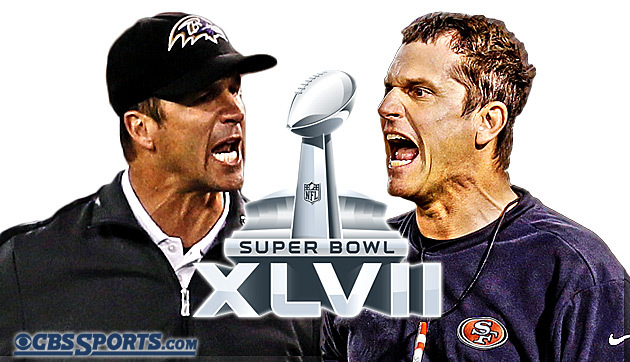 There is no denying that Harbaugh has a knack for building winning football programs. But I think we can all agree that his constipation will never go away. This fool thrives on his emotions. 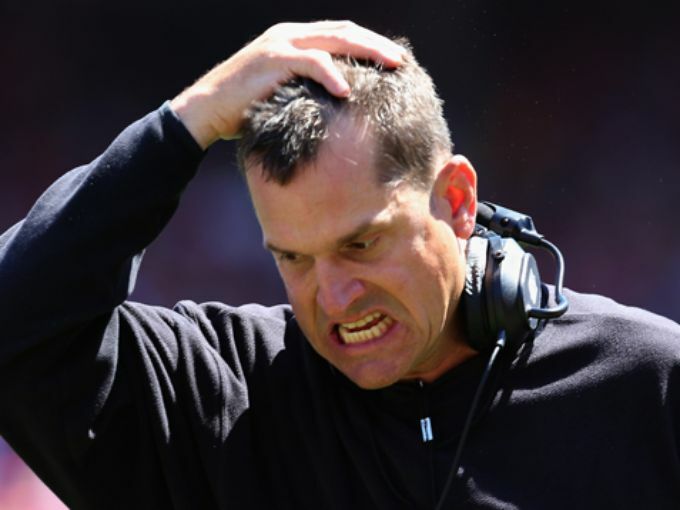 And for college, that is well and dandy because Harbaugh’s maturity level is on the same level as his players. Go for it buddy, don’t let that constipation get you down. That constipation lead you to take the crown from Nick Saban. Harbaugh is now the highest paid college football coach. But who would really win that facial feud? 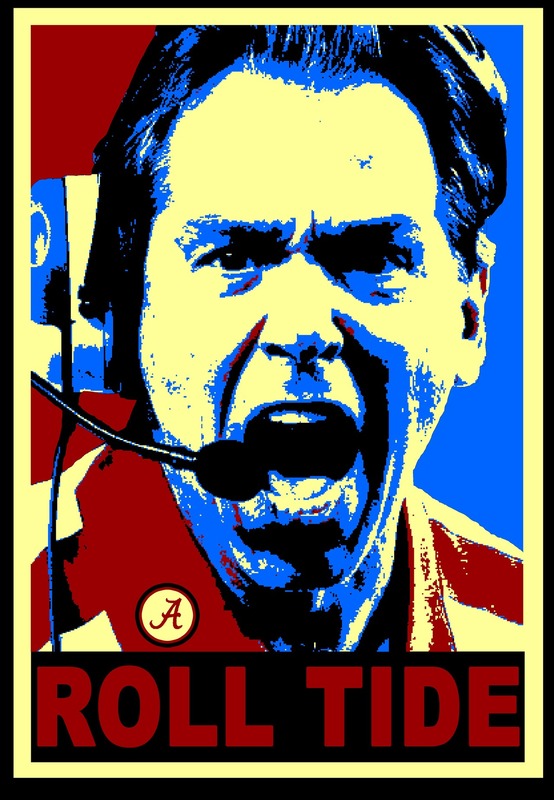 Even though Saban is The Lord of the Rings of the SEC, Harbaugh would destroy him with his constipated face. 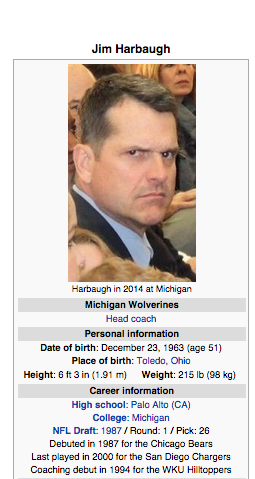 Now if only that will translate into wins for Michigan, Harbaugh will be in business.